Lee Eiseman, program chair of Harvard Musical Association, conceived of this publication, The Boston Musical Intelligencer, as the reincarnation of Dwight’s Musical Journal, published by John Sullivan Dwight with the support of HMA for 35 years -from 1852 until 1881. Robert D. Levin, a world-wide acclaimed classical performer, composer, and musicologist, is Dwight P. Robinson Professor of Humanities in the Music Department of Harvard University. At a recent meeting with Eiseman, executive editor Bettina A. Norton, and musicologist and composer Mark DeVoto, Levin commented on the role of the Intelligencer. When I once visited a high school in Laguna Beach to talk about music education, I met a Chinese gentleman, a Mr. Chang I think was his name, and he ran a band program at the school. But they had abolished the string program! Eiseman: Well, the bands are for marching with the football team. Levin: Of course. So, they had abolished the string program, and I got up there in front of everybody and I said, “The string program is the soul of the place. The brass players who play in the band love to play in the band, but, BOY! do they love to play Wagner – and they love to play these big romantic symphonies, the Dvorak symphonies, and Tchaikovsky, and stuff like that. If you really want to see fire in their eyes, that’s what you gotta have, but you can’t do that without wind players and especially string players… this is the essence of the whole thing.” I left the next morning and went up to Northern California to address another school. Then I flew home, and about three days later, I got a call from the superintendent. He said, “You know something? The next morning, a couple came in to my office and gave me a check for $10,000 for a string program.” There is a saying that all politics are local. It made me think that maybe it would be more important to go around to these high schools than to play with the great orchestras of the world. When I was in high school I played in the band…. Anyway, these things can be done. I believe the educators want to do this. The problem is they do not have funding for anything. Eiseman: In that sense, it’s a luxury, because it happens only if a private donor comes in and offers to pay for it. Levin: That’s what has happens in our free enterprise non-regulated system gone mad. People are starting to talk about the fact that the American infrastructure is going to hell. You go to China and everything is new. You go to East Germany, whose infrastructure was neglected under Communism and but totally rebuilt after reunification, with gleaming highways and high-speed rail and a brand new telecommunications system, whereas the overpass at Sullivan Square was torn down because it had rusted to pieces, and a bridge in Minneapolis collapsed. And we’ve got the still-unaddressed consequences of Katrina. Eiseman: We need to lose a war to China and have a reverse Marshall Plan. Levin: I’ll tell you something. My uncle, Benjamin Spieler-may he rest in peace -died at the age of 90 in July. He studied with Simeon Bellison of the New York Philharmonic, the clarinetist pal of Prokofiev. Bellison had a chamber ensemble in New York and commissioned Prokofiev to write the Overture on Hebrew Themes. Bellison taught Leon Russianoff, who created a dynasty of clarinet players, and my uncle. In the war my uncle was drafted. He was a medic and became the first clarinetist of the GI Symphony, In the first year the Fulbright scholarships were given, he got one and went to Paris and studied at the Conservatoire, and got diplomas in flute, oboe, and chamber music, playing clarinet – one of the very few people who got diplomas in three instruments. He later learned the saxophone and the bassoon. So he was a polymath. He came home in ’52, found out I had perfect pitch, and threw the book at me. Solfège, what else? He found me teachers and paid for them, and when my solfège teacher said the only way for me to make huge progress was to go and work with Nadia Boulanger, he paid the bill and he went over and chaperoned me! I was 12 at the time. He paid for five summers at Fontainebleau and a year in Paris, and then he paid for the amount of my Harvard education not covered by financial aid. He was truly my musical guardian angel. There is a Boulanger exhibit which is being mounted upstairs outside of the Isham Library right now. 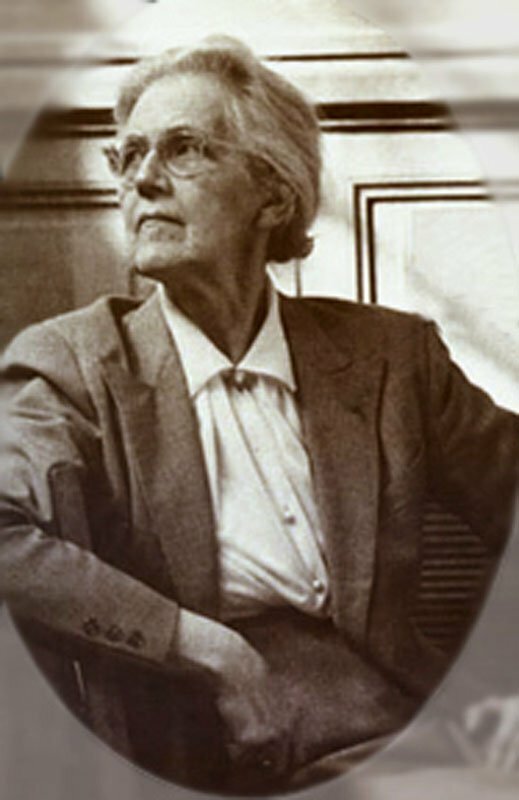 As you know, Nadia Boulanger had a strong connection to Harvard; she taught at Radcliffe during the Second World War and returned to Harvard on occasion thereafter. Given this relationship, she decided to will the scores of all of her American students to Harvard. Upon her death the executrix of her estate, Annette Dieudonné, supervised the shipment of that vast trove to Harvard. Apparently it was the only thing regarding the disposal of her collection that Boulanger communicated to Dieudonné before she died. Dieudonné sent the valuable French manuscripts to the Bibliothèque Nationale, and Boulanger’s practical scores went to Lyons Conservatoire, with which she had no connection whatsoever, but it was the second new national school, and so Annette Dieudonné probably thought, why not give them some books? But the decision was made to send everything – you know, from Copland through Rorem to her last students in the 1970s, including both work that had been done under her aegis, and compositions that had been sent to her by these composers. And Harvard has catalogued these thousands of manuscripts. A few days ago, Sarah Adams, one of the Music Department’s crack librarians, sent me an email from Isham. They discovered a sheaf of my compositions and they wanted to put something into the exhibit. That would be fairly embarrassing, considering that my materials were all juvenilia. Why am I telling you this story? The piece Sarah wanted to put on display was a song called “The Phantom of Fontainebleau Palace,” which I composed 48 years ago! In fact, the story was that Nadia Boulanger asked me to write a song. She asked me to write a song. There I was, in France, and I had no access to W.B. Yeats, Vachel Lindsay, or William Carlos Williams, or anything else. But my uncle, who was my chaperone, said, “You know, how about doing something of local interest? So he wrote a poem about the ghost of one of France’s sovereign-say, Louis XV, or Napoleon-the spirit at midnight, roaming about the palace, ‘Who are all these interlopers in my ancestral home?’ And so on and so forth. He wrote this poem! My uncle never wrote poems! Ben.” This is going to be shown, to my mortification, in one of the display cases. Now, to come back to this whole question: The matter of education is very clear. Young people want to learn musical instruments. You put a clarinet in the hands of eight-year-olds and they’re gung-ho. I mean they really are. All of them. Whether they think they like rock music or classical music, you can do those things. Eiseman: They were commissioning operas then. Levin: That’s correct. They were doing such things. That’s how Giancarlo Menotti’s Christmas perennial Amahl and the Night Visitors came into existence. Stravinsky was commissioned to write The Flood, not one of his best pieces, I dare say, but it was premiered on network television. Levi, laughing: Right. Such shows were aired 50 years ago on commercial television. Leonard Bernstein’s The Joy of Music is a transcript of television presentations he gave on Alastair Cooke’s Omnibus program for CBS. And what is the situation now? Soon after I arrived at Harvard a PBS producer attended my core course on chamber music and declared, “You are a fantastic lecturer. We should put this presentation on PBS.” He vigorously tried to follow it up, but the people at PBS were not interested. They would appear to think that there is too little interest in classical music to justify such a program. DeVoto and Eiseman, insieme: Except for the Three Tenors. Levin: We do have this issue, but it has to be seen in a larger context. I don’t single out classical music, because I think all these things point to a certain kind of blindness. What people call the Mozart effect is interesting. Some people say it is stuff and nonsense. I don’t think it is stuff and nonsense, and I’ll tell you why. Anything that turns out to be much more complicated than it seems is worth studying. Eiseman: Unless you’re introspective you’ll never realize it. Levin: Schnabel said the problem is that Mozart is too easy for kids and too hard for grownups. Which of course is true, because Mozart’s music reveals every defect that you can imagine – technical, spiritual, intellectual, emotional-everything. But here’s the thing that is interesting about it. Anybody who hears a piece of Mozart feels that she or he gets it at first hearing. It is understandable: there’s a certain sense in which everything seems completely axiomatic. What makes it subtle emerges only if the listener approaches it with sophistication. In other words, the more you know, the greater it gets. But even if you’re merely at the outer layer, it’s obviously already awfully good. One day, I started to look at some of the manuscripts and I noticed that they contained some numbers. In the first movement of the E-flat string quintet, K. 614, for example, Mozart writes a number at the end of the first section of the first movement-the part we call the exposition-the spot in so-called sonata form where the players go back to the beginning and repeat what we have heard thus far. And Mozart wrote a number there; and at the very end of the movement he wrote another number. The number that he wrote at the beginning was the number of bars that he had used up to that point, and the number at the end was the number of bars from that point until the end of the piece. He wasn’t counting them, mind you, from line to line, He just wrote them down, and he wrote down the correct number of bars in the first section, and then he wrote down the correct number of bars of the second one. Why do you suppose he wrote them down? They must have mattered to him. Why did they matter to him? Probably because he was interested in proportions. Sometime in the late ’60s or early ’70s, Wolfgang Plath, one of the century’s leading Mozart scholars and the expert on his musical handwriting, started looking at a sketch leaf that puzzled him. It had some music on it but it had a pile of numbers. As it turns out, Mozart dabbled in number theory. He never went to school for a single day, but he was interested in double and triple factorials-just fooling around on his own with numbers. Maybe it means something, maybe it doesn’t ‘ambidue, ambitre,’ …how you can take numbers and do things. You could think: maybe it means something, and maybe it doesn’t. Plath saw these numbers, arranged in three columns. He thought, “I wonder what these numbers could be? There are hundreds of things they could be I couldn’t possibly figure out 200 years later. They could be receipts for lessons, or concerts, they could be laundry expenses, or food expenses, or God knows what. Hmmm, is there anything they could be that I could figure out?” And suddenly, he thought, “Bar counts. They could be bar counts. But wait a minute. Three big columns…If it were a sonata, there could be only three numbers per column; in a symphony or string quartet, there would be only four; with five or six, or seven, maybe it could be a divertimento or some other occasional piece. But this is a long series of numbers in each column, so it cannot possibly be one of those. What could it be? Plath then proceeded to take out the score of The Abduction from the Seraglio. The first number of column 1 was the bar count of the overture. The second one was Belmonte’s first aria from Act I…and so on. Plath hit the jackpot. Not only that: there was a number in the third act-24-that came before the chorus of janissaries. But the autograph score has no 24-bar piece there. It does, however, refer to the fact that a march should come before that chorus, in spite of the fact that there is no trace of the march in the autograph. When Gerhard Croll was editing The Abduction from the Seraglio for the New Mozart Edition – Neue Mozart-Ausgabe – he consulted not just the autograph, but all surviving early manuscript copies. And one of them did contain a march before the janissaries chorus. And guess how long it was? Yup, 24 bars. So – Mozart adds up the bars of each of the three acts of his opera and compares their length. Now what other composer is doing that kind of thing? In the 20th century people are juggling numbers in all sorts of ways. Norton: Did Bach ever do this sort of thing? Levin: Bach certainly employs numerology in his compositions. Levin: Mozart – Mark, you can probably put the lie on this -is one of the only, if not the only, composer that I know who in every single one of his mature operas ends in the same key in which it began. Wagner doesn’t do that. Verdi doesn’t do that. How many cases are there of such a thing in other great operatic composers such as Wagner or Verdi? DeVoto: If you start Das Rheingold in the second scene, D flat major, then it works. Levin: But that’s cheating! In Mozart, The Magic Flute begins and ends in E-flat major, The Abduction from the Seraglio, Così fan tutte and La Clemenza di Tito start and end in C, and The Marriage of Figaro and Don Giovanni begin and end in D. … It’s the Aristotelian unities of time, place and action, but writ large. Levin: The sense of continuation between the arias, the key schemes that he uses, how they work, are done in a way that you need not notice, but there is something absolutely ineffable and ultimately inevitable about when they are obvious, like going from C major to G major, or when they’re slightly coloristic, like G major to E-flat major, but they will never go from G major to F major, for instance. Things like that won’t do it, because they don’t mix well. Levin: Yes, you will find individual operas by composer that do this, but you will find no composer other than Mozart who is systematic about it. And so there he is, he’s counting bars, he’s looking at proportions, he is observing certain kinds of unities. I mean, does anybody care, after four hours, whether the opera ends in the same key it began? Does anybody remember? Mimicry by Levin: “… we’re right back where we started from!”, followed by general laughter. Levin: The thing about it is, this is music that masquerades as so unbelievably simple-minded; but in the typical first movement of a Mozart concerto, there are as many as 10 to 12 different ideas. Norton: Do you think the Masonic connection had anything to do with it? Levin: Masonry certainly figures in some of his works. The Magic Flute has symbolism-numbers-derived from Freemasonry. No question about that. But what I am talking about is something which is much larger than an individual piece. DeVoto: He was a Roman Catholic. DeVoto: They still had the altered Credo: the text et in unam sanctam catolicam apostolicam ecclesiam is deleted from the credo in all the Schubert masses. Levin: But not in Mozart’s masses, which contain that clause. DeVoto: That was a was a papal dispensation, I was told. Levin: It wouldn’t surprise me. But I felt obliged to assure Mr. Allen that Mozart was a good Catholic. He said, “Well, you know, Masons were excommunicated.” I said, “WHEN? When the pope was still a political figure who controlled the papal states, and Avignon, and so on. Then it was a matter of sedition. Look, what is the issue? The Masons want to give human beings a square deal on this earth and the Catholics take the eternal view. There is absolutely nothing in these philosophies that need at all to be in argument. I should think that anybody who’s worried about His Holiness playing Mozart, should be told that to the extent that His Holiness does play Mozart, to that extent he will be a better pope,” and that is what I told Mr. Allen. Levin: And he printed it, God bless him! Harvard’s Music Department houses the Isham Collection, for Ralph Isham (1865-) a railroad executive and real estate investor who graduated from Harvard College in 1889, He and subsequently his widow have donated funds for the Appleton Chapel organ and very valuable collections of music manuscripts, scores, &c.
 Annette Dieudonné, friend and colleague of Nadia Boulanger, taught Solfège at at the Conservatoire National Supérieur de Paris and at Fontainebleau. The article by John L. Allen Jr. appeared in the National Catholic Reporter, September 1, 2006. Dear Robert or Bobbie as I will always remember you when we did math and mazes at the dinner table in Fontainebleau during the summer of 1960. Your uncle found me my wonderful oboe teacher Myrtil Morel in Paris, brother of Jean Morel who was for many years the conductor of the Julliard Orchestra. I had 9/2and 1/2 hour lessons on oboe as a rank beginner during the month of August and then returned to study music seriously at the Royal Toronto Conservatory of Music with Perry Bauman. Previous to that I had been for 3 years a Chemistry, Physics and Math major at the University of Manitoba Perry was the oboist on the famous recordings by the CBC Symphony of Stravinsky, Webern and many others. Perry also subbed as principal oboe in the Philadelphia Orchestra for John DeLancie when DeLancie was sick (both of students of the great oboist Marcel Tabateau, founder of the American style of playing in many ways at the Curtiss Institute in Philadelphia. All of this brings back of flood of memories. Thanks to your uncle I have had the great fortune of studying with many fine teachers starting with Morel and over the years not only on oboe, but also in composition. Fontainebleau is where it all began for me. Myril Morel prepared me for my entrance exam at the Paris Conservatoire during the summer and fall of 1963 where I met Philip Morehead, who was Mademoiselle’s harmony assistant. Phil and I married Dec. 27, 1963 and went on to have 3 children and now have 10 grandkids. Philip is head of the music staff at the Lyric Opera of Chicago and I teach composition, theory and music history at Columbia College, the Merit School of Music, and composition on line in Vermont using Sibelius (VTMIDI.org). I am still playing my family of oboes and founded the new music group CUBE Contemporary Chamber Ensemble in 1987, now in it’s 22nd season. I stepped down as Artistic Co-Director after 20 years and now our wonderful clarinetist, Christie Miller is the sole Artistic Director of CUBE which despite the financial climate is still performing (www.cubeensemble.com). Phil and I have always followed your career and I have such fond memories of you when your were 12 and also of the time that Boulanger asked you solfege the D major prelude (I believe) a bar ahead and then play. I was totally amazed that you could do this and I think she was too.